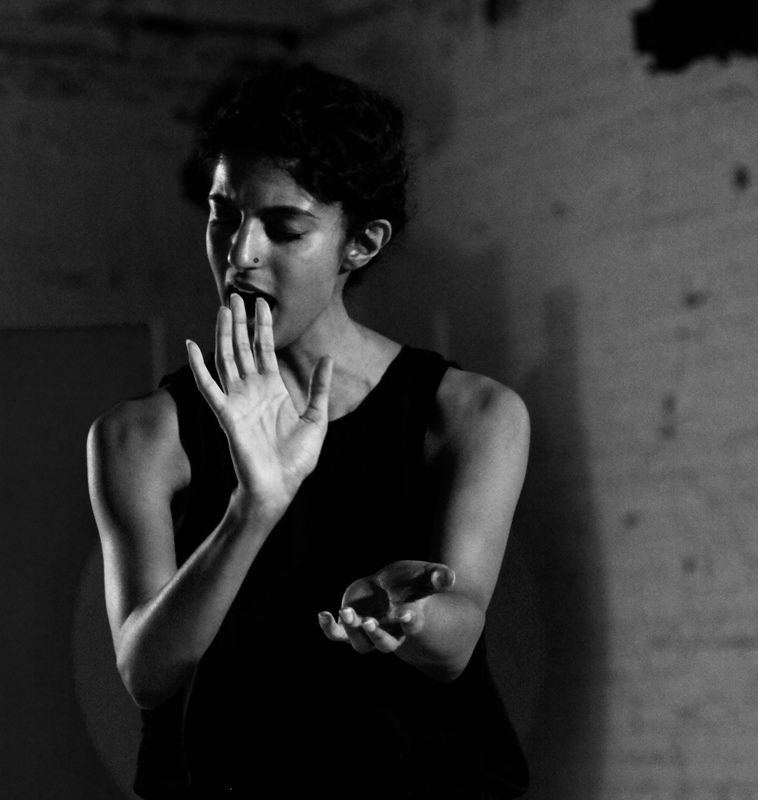 Samita Sinha combines tradition and experimentation to compose vocal performance works that investigate cultural inheritance and the experience of being a body in the world. Works include This ember state (2018, commissioned by Asia Society), bewilderment and other queer lions (2016, commissioned by Performance Space 122 and Invisible Dog Art Center for the COIL Festival) and Cipher (2014–15, a solo work that toured nationally). She has composed and performed original scores for dance and theater works by Dean Moss, Fiona Templeton, and Preeti Vasudevan; vocal directed for Daria Fain and Robert Kocik; and performed with Sekou Sundiata and Robert Ashley. Sinha teaches voice extensively, including at the Rubin Museum of Art, Centro Nacional de las Artes (Mexico City), Swarthmore College, and Womankind (formerly New York Asian Women’s Center).